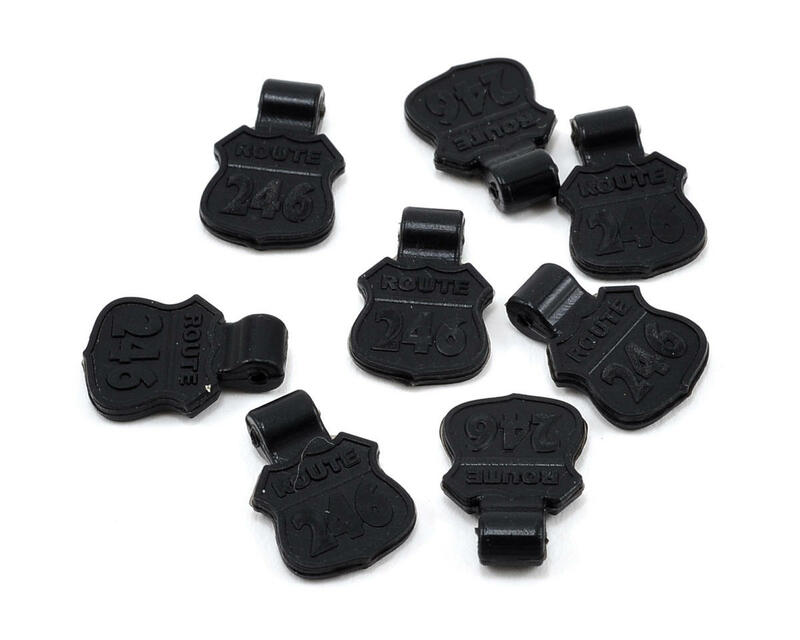 This is a pack of eight optional Kyosho 6mm Rubber Body Pin Tabs. Very nice and durable tabs, haven't broken one yet. 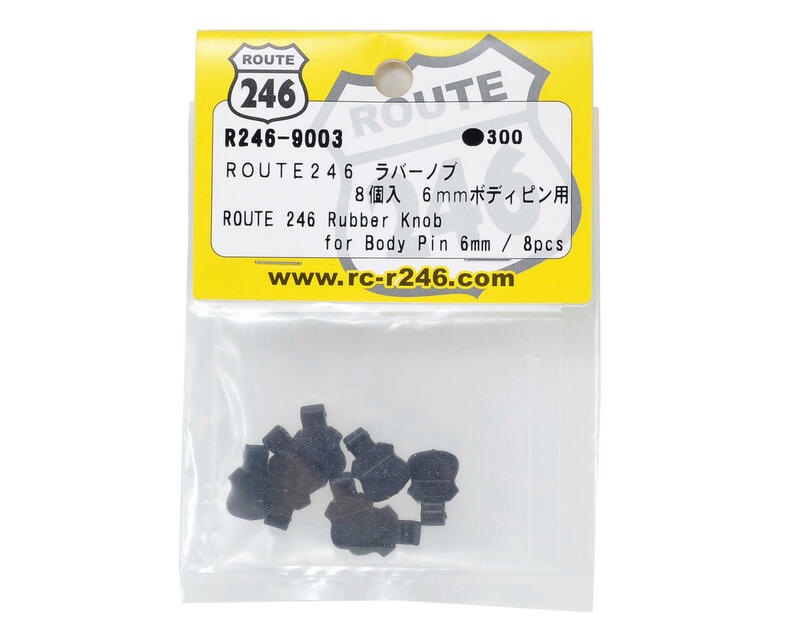 Very good price as well compared to the pro-line ones and they have a cool Route 246 logo imprinted on them which I believe is Japan's version of Route 66.